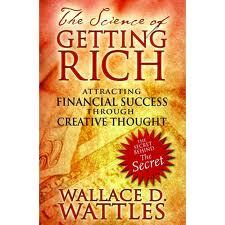 The Science of Getting Rich is a book written by the New Thought Movement writer Wallace D. Wattles; it was published in 1910 by the Elizabeth Towne Company. The book is still in print after 100 years. It was a major inspiration for Rhonda Byrne's bestselling book and film The Secret (2006 film). According to USA Today, the text is "divided into 17 short, straight-to-the-point chapters that explain how to overcome mental barriers, and how creation, not competition, is the hidden key to wealth attraction."